IBM has unveiled a blockchain-powered Know Your Customer (KYC) project with Singapore start-up KYCK! to help financial services providers onboard customers quicker and cheaper. Using the open source Hyperledger Project Fabric, IBM says immutability, traceability and privacy of the information is provided on a permissioned distributed ledger which is “critical” in a highly regulated environment. Alan Lim, practice lead, IBM Blockchain and Bluemix Garage, ASEAN, says since it launched an IBM Bluemix Garage focused on blockchain in Singapore this year, it has seen “more and more start-ups and entrepreneurs come through our doors with a curiosity and passion for how they can apply blockchain as a competitive differentiator”. Working with the IBM Bluemix Garage in Singapore, KYCK! intends to provide brokerages a platform with video conferencing and encrypted document submission capabilities for the “secure” onboarding of new customers. The platform also aims to provide “enhanced” identification validation through a trusted blockchain based business network that will “potentially include banking and governmental entities”. Once identity verification is confirmed, KYCK! will enter the customer’s information into current bank-based checks or third-party KYCK! systems before account onboarding. The IBM blockchain based solution will be secured by the IBM high-security business network (HSBN) delivered via Bluemix, IBM’s cloud platform. 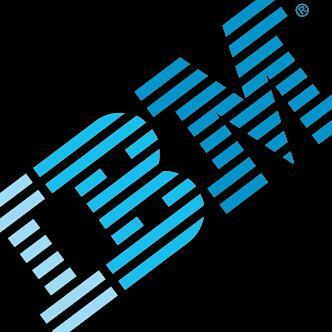 IBM says this enables KYCK! to “handle sensitive data with additional levels of security that can help protect against unauthorised access and tampering”. KYCK! was co-founded by three Singaporeans (all former sales traders) to provide users with information pertaining to the Southeast Asia Exchanges and access to brokerage demo accounts. The IBM Bluemix Garages serve as hubs for developers, product managers and designers. There are a total of eight garages globally, the Singapore version is one of the latest to be added to the IBM global network, which includes locations in London, New York, Nice, Melbourne, San Francisco, Tokyo and Toronto. The IBM and KYCK! announcement comes hot on the heels of R3’s announcement: R3 and its ten member banks have developed a proof-of-concept for a KYC registry.